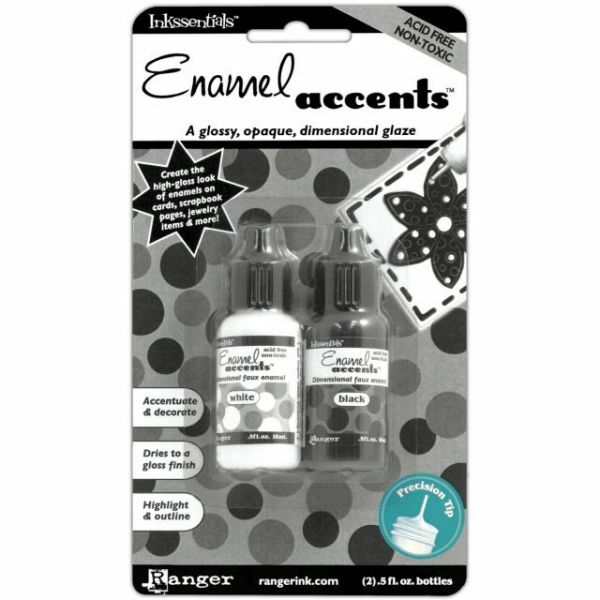 Inkssentials Enamel Accents .5oz 2/Pkg - RANGER-Inkssentials Enamel Accents. 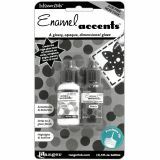 Create the high-gloss look of enamels on cards, scrapbook pages, jewelry and more! These accents have a glossy, opaque, dimensional glaze and are also acid-free and non-toxic. This package contains one 0.5fl oz bottle of white accent and one 0.5fl oz bottle of black accent. Both bottles have precision tips for adding fine details. Conforms to ASTM D 4236. Made in USA.